Visit Maison Suisen for an exotic Ryokan experience in the heart of the Marais. 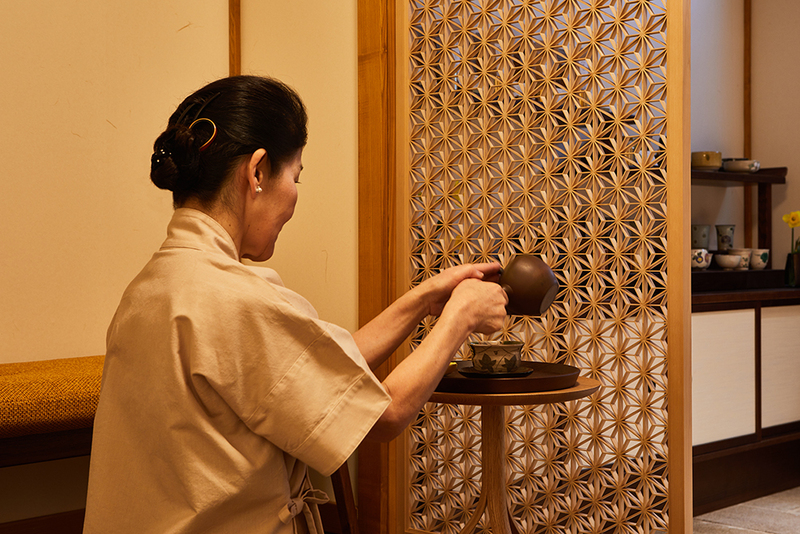 Tea tasting and Shiatsu rituals – arigato! As you enter the house, you'll feel like you're walking in front of a cinema screen as the film "In the Mood for Love" is showing. Yet, you're not in Hong Kong or Tokyo, you're still in Paris near the Picasso Museum in the Marais! Gastronomic legend Joël Robuchon joins Dassai for an exceptional showcase at 184 Rue Faubourg Saint Honoré. A complete culinary experience: Patisserie tea room, boutique catering and, for a limited time, delicious Japanese izakaya, sushi, sashimi, and sake. TORAYA Pastry is a sure bet for those who want to sample the best Japanese pastries in the pure Wagashi tradition in and elegant setting.